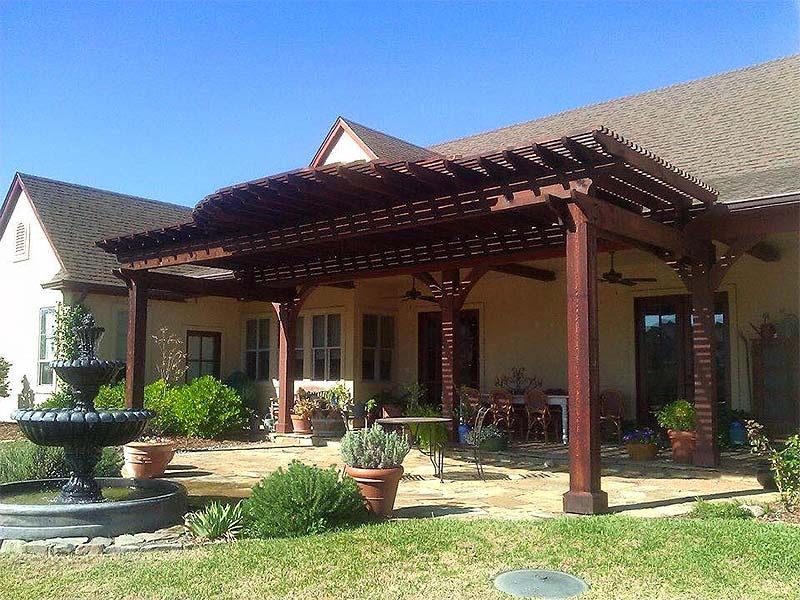 Why not attach the pergola to your house? 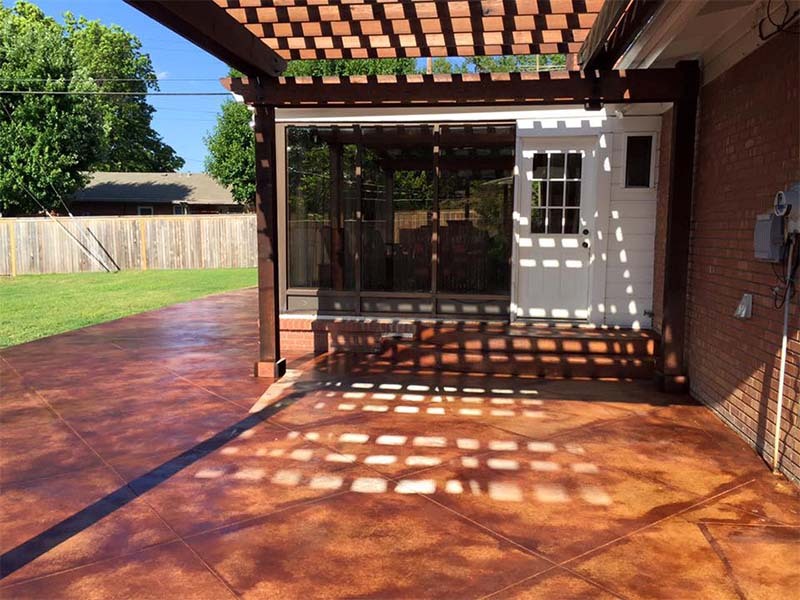 …can offer a beautiful addition to any patio or deck area. And as a result the pergola, the pergola looks more natural. Today we’re going to look at several pergolas. So what is a pergola? A pergola is an outdoor structure with open sides and an open roof. The roof of a pergola includes crisscross slats and rafters to provide shade and ambiance. 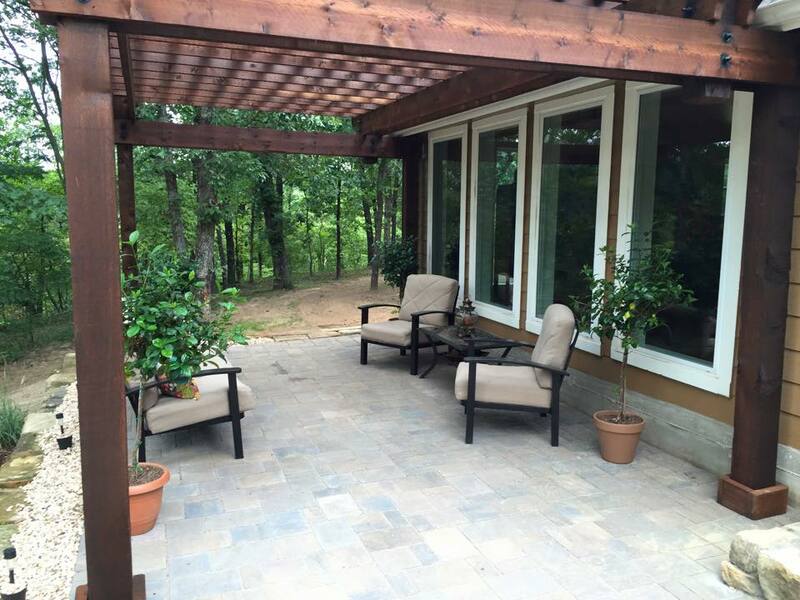 A pergola can be built above a deck, patio, outdoor kitchen area or any other sitting area. 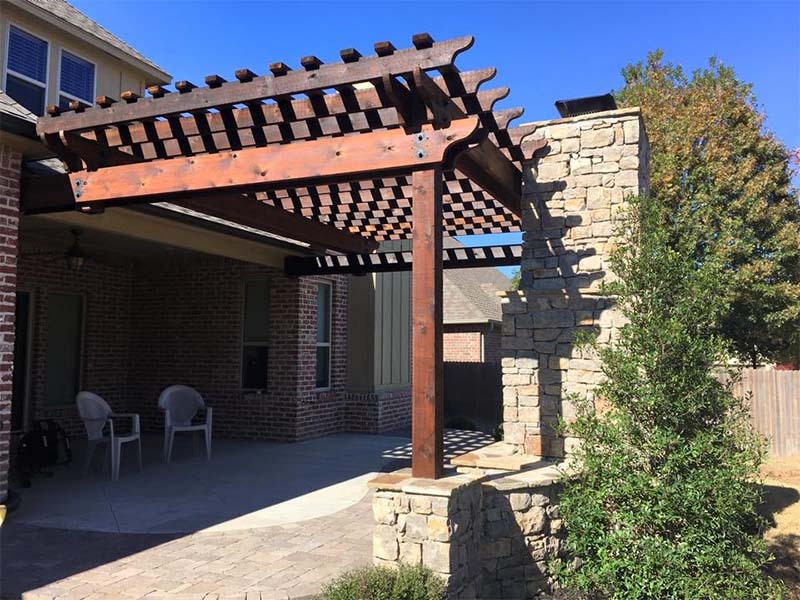 A pergola can be built as a stand alone structure as shown above. Or the pergola can be attached to your house. Pergolas are often used as a foundation for other outdoor features. Things like plants, screens, canopies or audio video equipment. Now, let’s take a look at some pergolas that are built onto the side of houses. Here are a few pergolas built onto the side of houses. 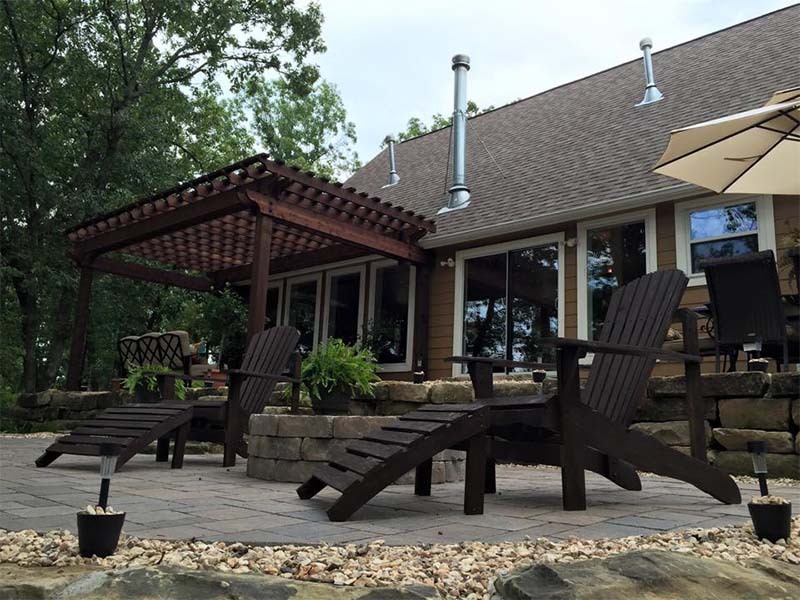 …each pergola is a little different, as each one is custom designed to fit the look and feel of the home. And the preferences of the homeowners. This long pergola covers a narrow patio. Check out the heavy duty beams used in its construction. This pergola is in a very woodsy settings. And fits nicely with the back of this home. Was added as part of a new sunroom and patio project. Notice how it’s fully supported on columns under the eaves of this home. And protection from the elements. It’s critical that you know what you’re doing or hire a qualified contractor to help. Some homes will have the proper structure to support one side of the pergola. 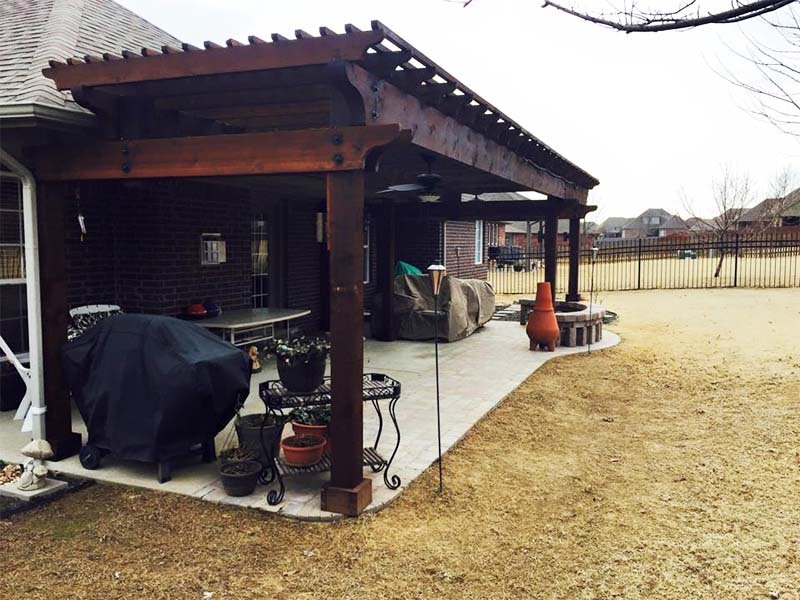 While other homes may need the pergola to support itself. Some pergola installations require new footings. Or pillars to fit the surroundings. And some pergola designs require accommodation. For roof lines and gutters. 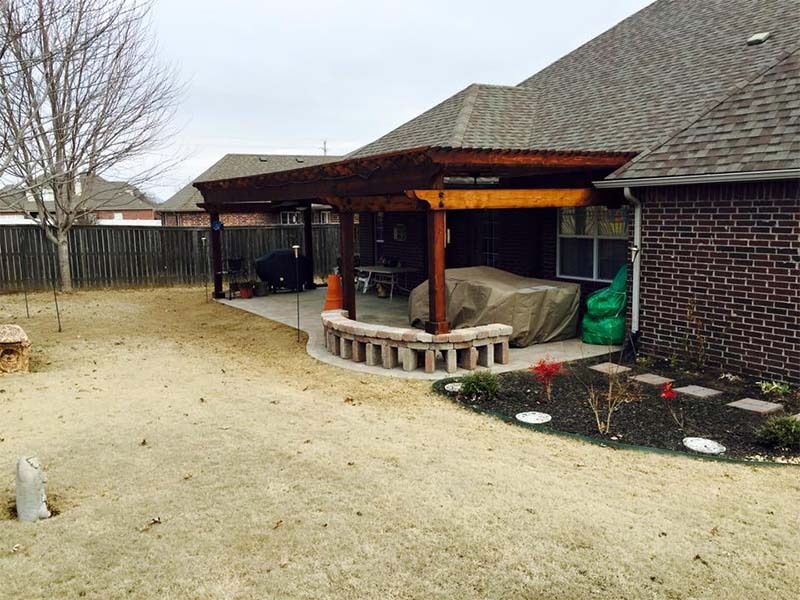 Here’s an example of a pergola built adjacent to a covered patio. The finished build looks great. And complements the existing structure of the home. 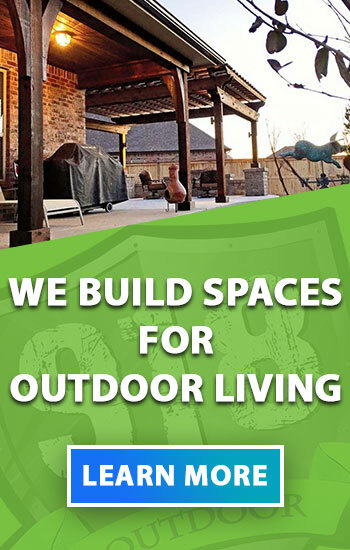 To enlist the services of an experienced pergola builder. 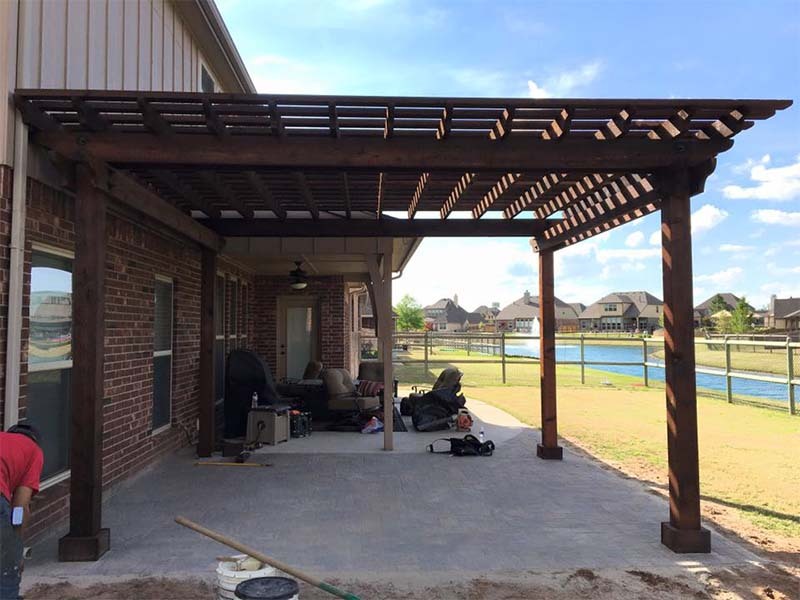 Building a pergola is all about creating a space. That people can use to enjoy the outdoors. 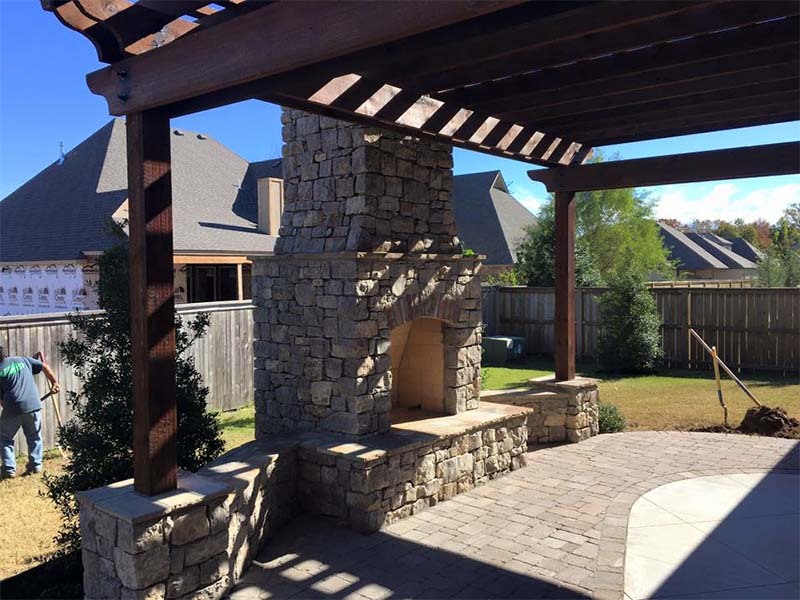 Why not build a pergola in front of an outdoor fireplace. 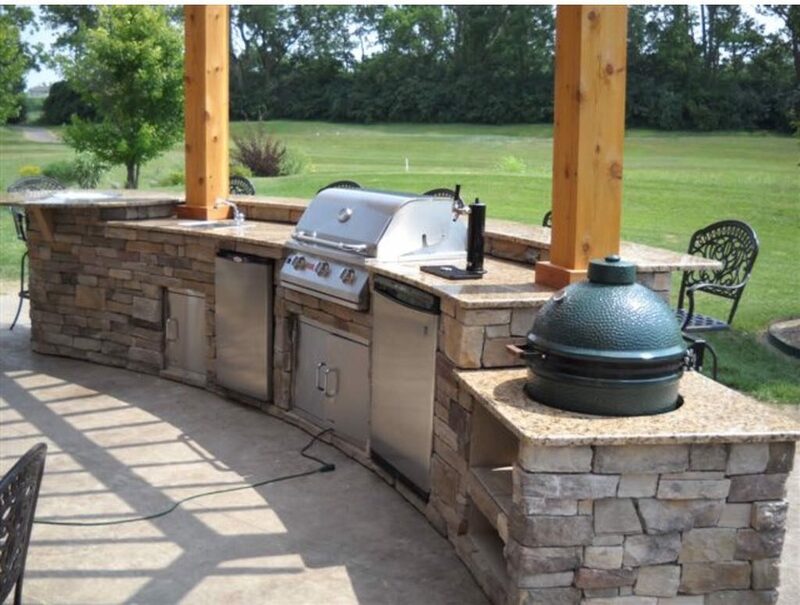 Built above an outdoor kitchen. 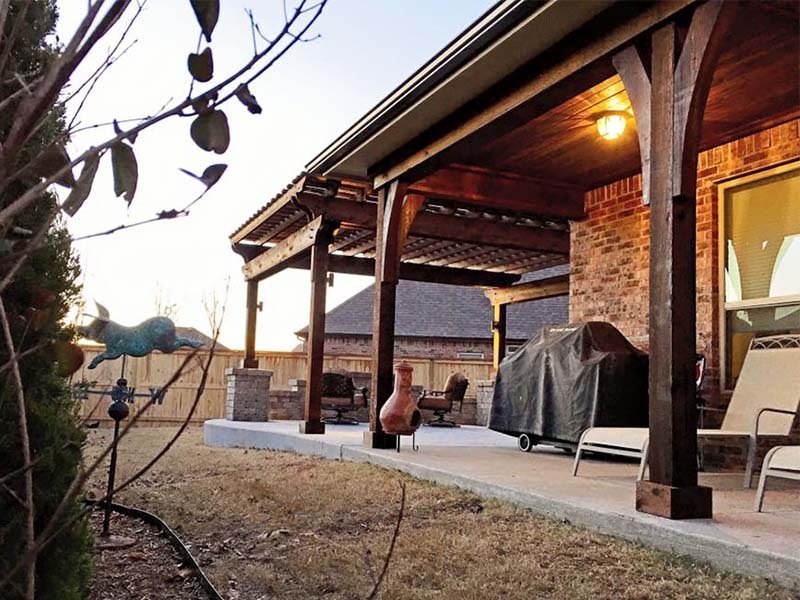 A pergola is a great investment and offers your family and friends an inviting place to hang out. 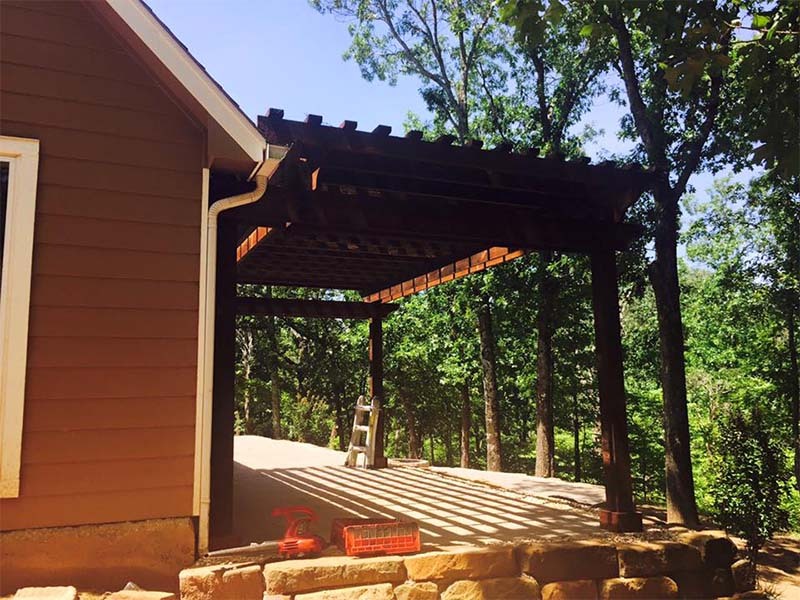 Building a pergola takes a lot of experience an know-how. 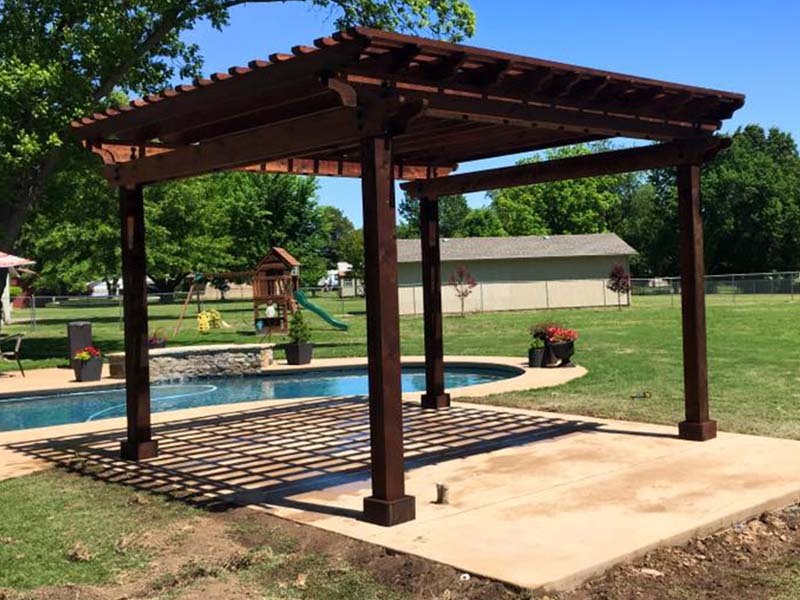 If you need help building a pergola onto your house, don’t hesitate to contact a qualified pergola contractor. 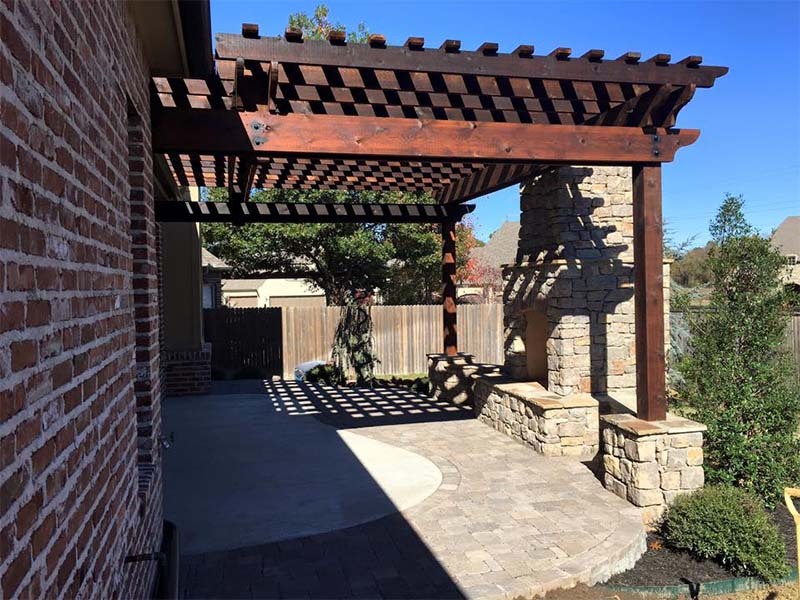 …you’ll want to see some of our other pergola projects. 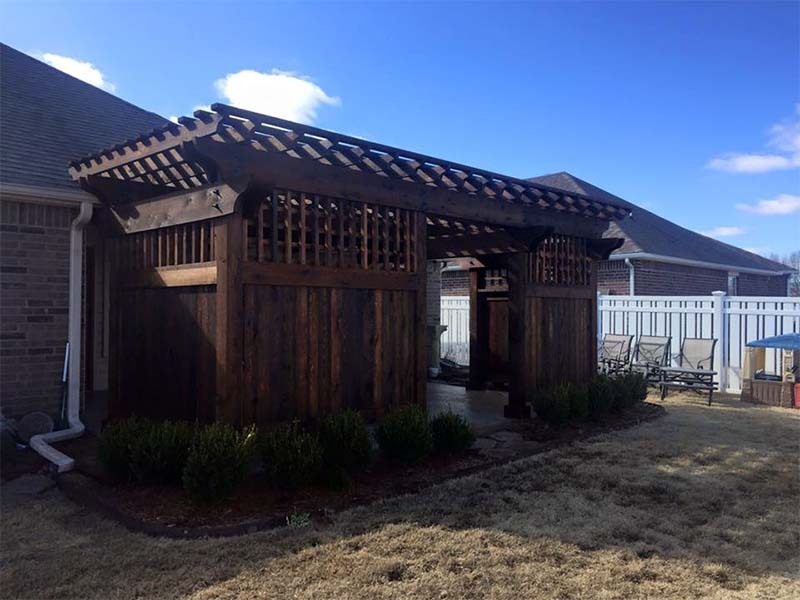 Check out the gallery of pergola projects. 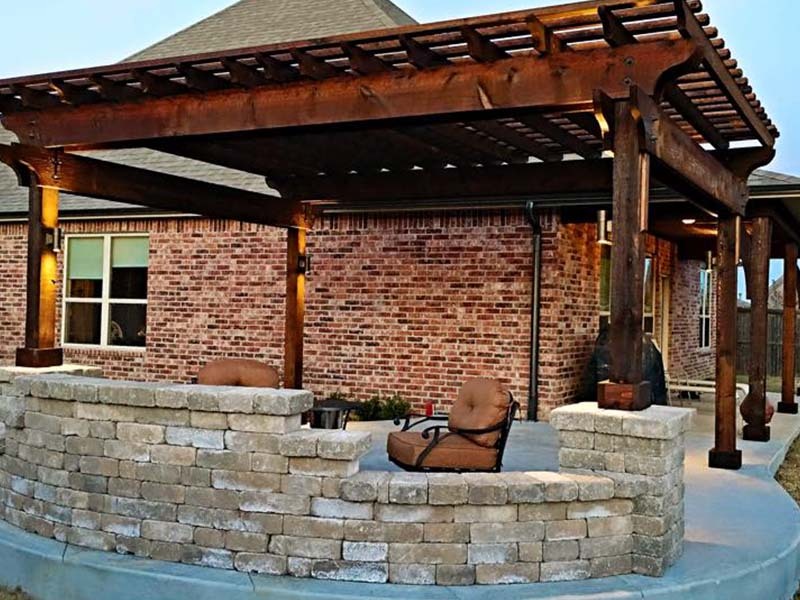 Are you building an pergola? We would love to help! 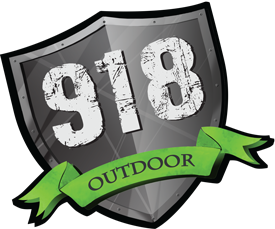 918 Outdoor is the premier outdoor living contractor serving Tulsa and all of northeast Oklahoma.